Wellington III Z1680 crashed in the North Sea 30/1-1943. The aircraft belonged to RCAF (RAF) 426 Sqn Bomber Command and was coded OW-R.
T/O 12:54 Dishforth. OP: Hamburg. Detailed to raid Hamburg using cloud cover. Plotted by Hull D/F at position 54`00N 08`10E at 16:29 hours. The Wellington must have crashed into the North Sea. Pilot F/L Robert H. Lowe, W/Op-Air Gnr. Sgt John J. Lemke and W/Op-Air Gnr. P/O George D. Fitz-Gibbon have no known graves and are commemorated on the Runnymede Memorial. Air Gnr. 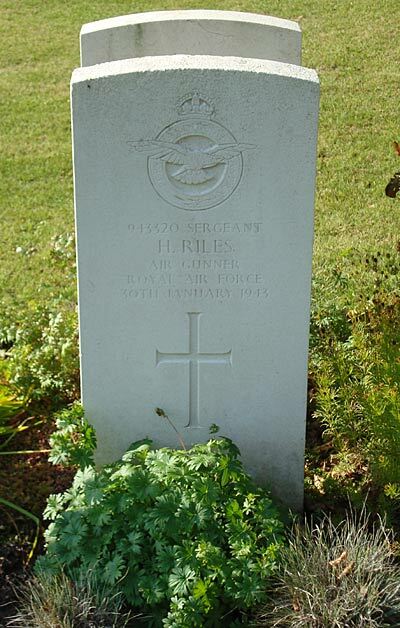 Sgt Henry Riles RAF was found drifted ashore on the island of Fanø on 7/2 and was laid to rest in Fovrfelt cemetery in Esbjerg on 12/2. 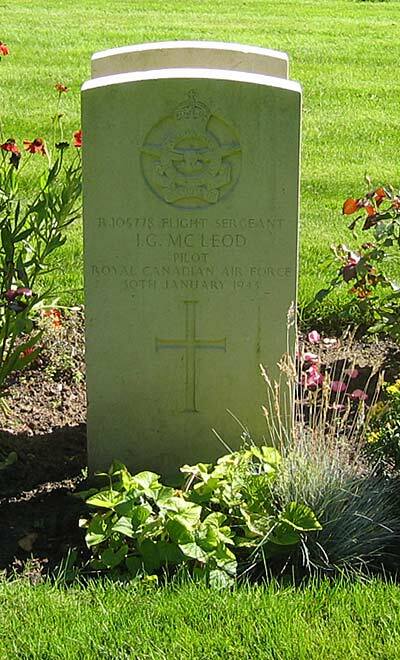 The body of Co-Pilot F/Sgt Ivor G. McLeod was found at sea and brought to Esbjerg harbour on 26/4. He was laid to rest in Fovrfelt cemetery in Esbjerg on 30/4-1943. 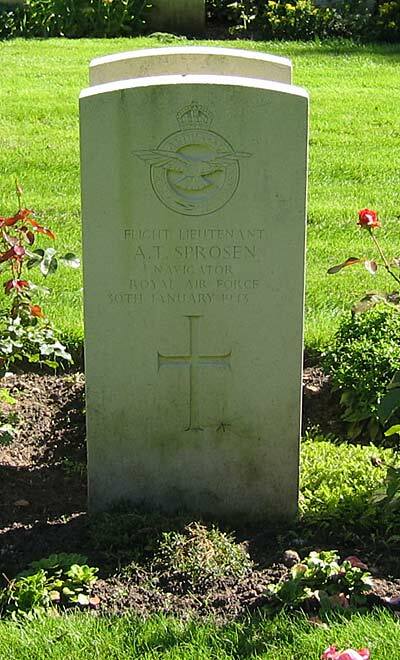 Navigator F/Lt Arthur T. Sprosen RAF was found on Peter Mejers Sand near Sønderho on the island of Fanø on 14/5 and was laid to rest in Fovrfelt cemetery in Esbjerg on 18/5-1943. Sources: BCL, CWGC, BE, UA.